A website need not be too complicated because a simple one can go a long way in reaching out to your target audience. In fact if you are resourceful and patient enough, you can do it on your own instead of hiring a web designer which can be costly. There are many free and user-friendly tools available today that require no technical background in building your initial website. A business website should provide information about your company and what you do. As such, you will need to have several web pages to cover these info. The basic pages include the about us or about the company, your products or services and contact information. Contact details should include your email address, phone and physical address if you have or are renting a commercial space. You can opt not to include it if you are operating a business in your home. Sitemap pages are also essential. When writing copy for your website, make sure that it is easy to understand and reads well. Providing good copy will show that you value your target audience in the same way that you do for your business. Simple and straightforward content is ideal as it ensures you easily get your message across and your audience understands it on first reading. A call-to-action is another important thing to consider. This should be seen on most of your content to encourage people to take action and patronize your products or service. Do keep in mind that the goal of your business website is to attract new customers and encourage existing ones to purchase hence, whatever information you put on your website can make a huge difference in making people stay on your site and read further or leave it and move to another site. Be mindful as well about updating your content on a regular basis. Consumers crave for fresh information from businesses they patronize and they’re likely to move to another site if they see that your latest post is still a few months ago or even a year ago. Meanwhile, those who have an existing website can opt to provide a more interactive content. This is the trend these days hence, you can also take advantage of this by adding testimonials, polls or surveys to your site. Encouraging your customers to provide ratings and reviews about your business is a good idea. Just make sure that you check these reviews first before posting them so people don’t abuse this feature. Use photos and graphics that complement each other to achieve a professional look. Choose colors carefully and make sure they blend with the colors of your company logo. As for fonts, pick only one or two and stick to them across your website. This will enable you to achieve consistency. A great way to show your site’s simplicity is by using a single large image and minimal text in your homepage. Remember that a picture alone can already convey a strong message hence, make sure to choose the right one that fits your brand. 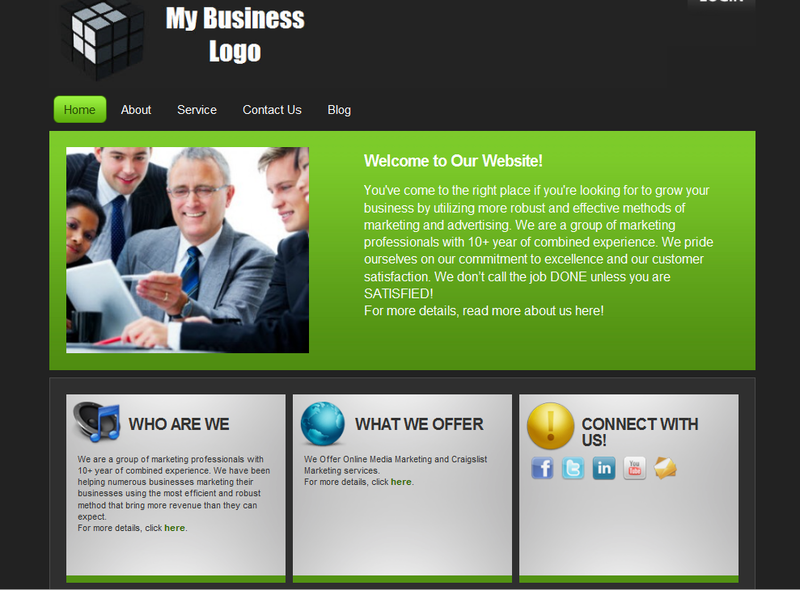 A small business website design can be a simple one. By simple, it means the site has the basics and is user-friendly which can easily allow visitors to navigate around the blog posts and pages, if any. Most often, website designers or the business owners themselves want a website with different sections and all the information they want to include. However, experts have proven it time and again that a clutter-free and straightforward website can drive more traffic. It just has to be organized well with clear information to attract customers and provide a relaxing browsing experience for them. It also has to be easy to navigate to keep them glued to your site and not discourage them from browsing. Adding a site map is recommended. This should list all the pages on your site and should be updated on a regular basis. The update should be done whenever you add or remove a web page. As a business, you need to be transparent about your information if you want people to buy your products or patronize your services. As such, provide your relevant contact information from phone numbers (landline and mobile), email address and postal address. This should be available not only on your home page but also in all pages of your site. Your goal here is to make your business easily accessible to existing and potential customers so they can reach you right away should they have questions, problems or need further information about your offerings. With regards to your business information, provide clear details about what you do and how your products or service work. This way, people will understand what your business is all about. You may add a Frequently Asked Questions (FAQ) section if you want. This will help provide answers to the common questions your visitors and customers have.